2017 Hyundai Elantra: What's Changed? Thoroughly redesigned for the new model year, the 2017 Hyundai Elantra in Phoenix is roomier, techier and more upscale. Sophisticated materials are used throughout the cabin and, on the exterior, the car's sheet metal gets reimagined styling. A new hexagonal grille, updated light treatments and available vertical LED daytime running lights are featured up front, while the sedan's rear receives a decklid with an expanded trunk edge and new bottom spoiler. 2017 Hyundai Elantra reviews say the car looks more refined with its new updates and we agree. The lineup's trim structure has been revised this year. 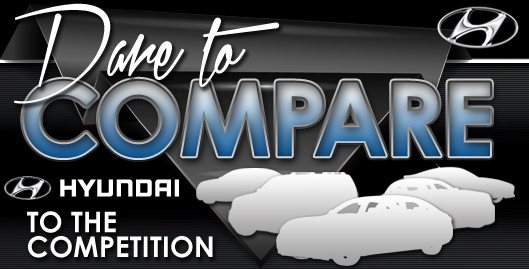 Available grades include the Elantra SE, Elantra Eco and Elantra Limited. There's also an updated Sport model that comes with large brakes, upgraded front and rear suspensions, its own distinct styling elements, and a turbocharged 1.6-liter four-cylinder that delivers 200 horsepower. On SE and Limited models the standard engine is a 2.0-liter four-cylinder with 147 hp, while the more fuel-efficient Eco receives a turbocharged 1.4-liter four-cylinder with 128 hp. 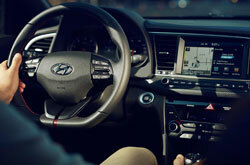 Standard amenities on the SE version of the 2017 Hyundai Elantra in Phoenix include basic features like full power accessories, a tilt-and-telescope steering wheel, USB input, rear cup holders and an audio system with AM/FM/SiriusXM Satellite Radio/CD/MP3, among other appointments. The Eco is similarly equipped, but gets the more efficient engine described above, plus it comes standard with many of the SE's optional features, like keyless entry and ignition, blind spot monitoring with rear cross-traffic alert and heated front seats. The 2017 Elantra Limited builds on this with even more features, including leather upholstery, Hyundai Blue Link telematics, LED taillights and exterior chrome trim. Other notable updates to the lineup include its new platform, which is made up of 53 percent high-strength steel, compared to the previous platform that used 21 percent. The car also offers more insulation and sound-muting glass to provide enhanced tranquility in the cabin. Learn more in the continuation of Camelback Hyundai's 2017 Hyundai Elantra review below, then call to schedule a test drive! 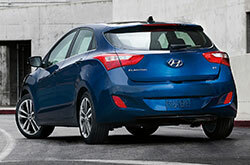 Want More Specs on the Hyundai Elantra? If you want a new car near Phoenix, don't just look at the 2017 Toyota Corolla, Chevrolet Cruze, Honda Civic, Mazda3, Nissan Sentra and the Ford Focus; also view the handsome 2017 Hyundai Elantra. You're likely to find it suits your needs, with its chic looks, innovative cabin features and fresh personality. Take advantage of data included in our review to see if 2017 Hyundai Elantra is right for you; and when you've decided, take a look at finance incentives offered at Camelback Hyundai. Find manufacturer incentives on the acclaimed Hyundai Elantra at Camelback Hyundai, a neighborhood dealership with a standout selection of Hyundai models. 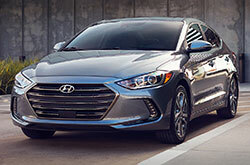 To make an educated purchase, it's imperative to look at 2017 Hyundai Elantra reviews; we try to help with this by providing the information you need right on our site. 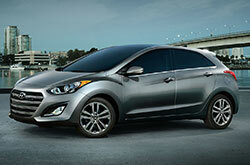 Our reserve of handsome Hyundai Elantra models in Phoenix, AZ is vast. Email to schedule a test drive and come explore our lineup. Hoping to see its interior before you stop by? Look at our video walk-around to get a glance at its cabin amenities!